Ana Clara (22 months old) looks pretty proud showing us her new skill! A year ago, Ana Clara’s caregivers were living with worry about her future. They were not even sure if she’d be able to walk, run and play. Ana Clara was born with clubfoot and the healthcare professionals only offered surgery as the treatment option but she would have to wait until she was two years old. In August 2016, the family learned of a clubfoot clinic at Casa da Esperança, a hospital run by the Rotary Club of Santo André in São Paulo, Brazil. Rotarian, Dra. Tatiana Guerschman treated Ana Clara successfully with Ponseti Method and she is now wearing a foot brace to maintain the correction. Ana Clara’s caregivers are so happy and grateful to The Rotary Foundation and the Rotarians in Districts 4420, 5300, 5970 and 6000 for their support of a Ponseti Method training grant to train 50 physicians in Brazil. August 2016 – Ana Clara being comforted by her caretaker during Ponseti Method treatment. 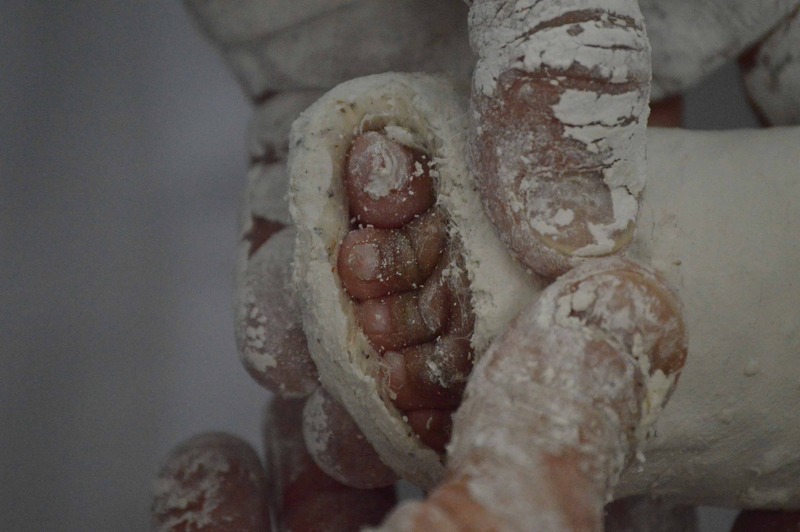 August 2016 – Ana Clara’s toes peeking out of cast. 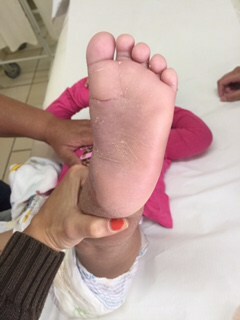 After six casts, Ana Clara’s foot has been corrected by Rotarian Dra. Tatiana Guerschman at Casa da Esperança.